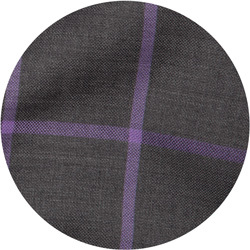 Choose from our finest array of fibres and fabrics for our suits and shirts. A slimmer fit to highlight the tailored silhouette, half canvas construction and functional sleeve buttons are just a few of the features all of our suits come with as standard. Whether it's for work, a casual jacket or a black tie event these are your fitted passports to match any occasion. Reflect who you are. At Pocket Square we keep up with the latest design, offering unique customisations like 'Patch Pockets', 'Pant Cuffs' and 'Pick Stitching'. Each customisation draws from within your own personality and everyone has their own look. 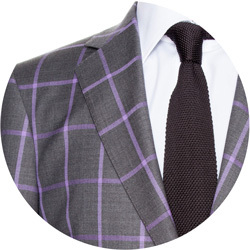 With the multitude of customisations, we're here to help you look dapper. Follow our simple step-by-step guide to help mould our fabrics to your body. 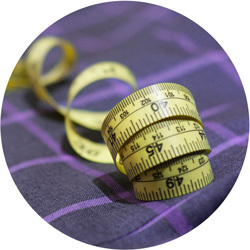 We require a total of 14 different measurements so you can have the confidence of a perfect tailored fit. It takes less than 15 minutes with a help of a friend and all you need is a tape measure. Your measurements are then saved under your account for effortless reordering in the future.